The transition from summer vacation to a regimented school schedule does not have to be chaotic. 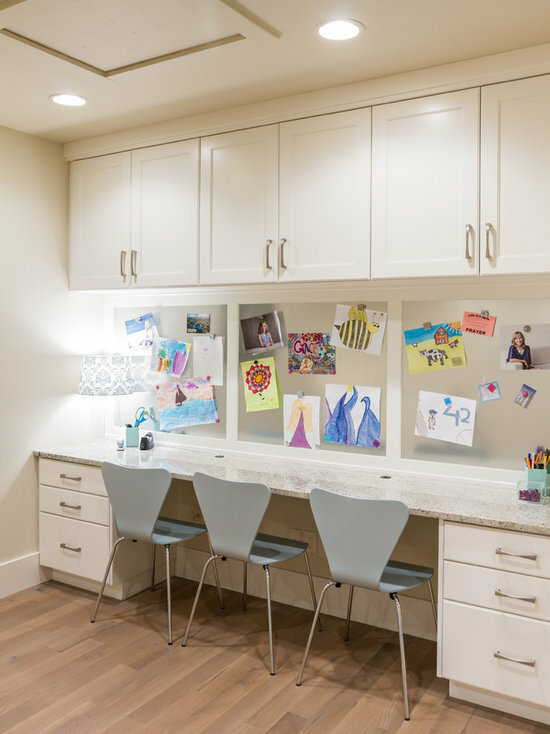 From Kindergarten to High School, these simple changes around the home will make early morning school runs and afternoon homework sessions more enjoyable. Making these changes now, at the beginning of the year, will make the transition as smooth as possible for both yourself and your children. Follow these simple tips to start your school year off right. Reduce the stress of getting out of the house on time by planning outfits in advance. Labeling drawers or hangers with the day of the week will help your child to learn how to keep track of their schedule, like which days they need to dress for gym or when they have to dress up for picture day. It also provides younger children with the independence they desire. For older children, this clothing organization system can be a major step towards avoiding the disaster that their bedroom may look like at the end of the week. Many schools have a specific amount of time that they require children to read on their own each day. 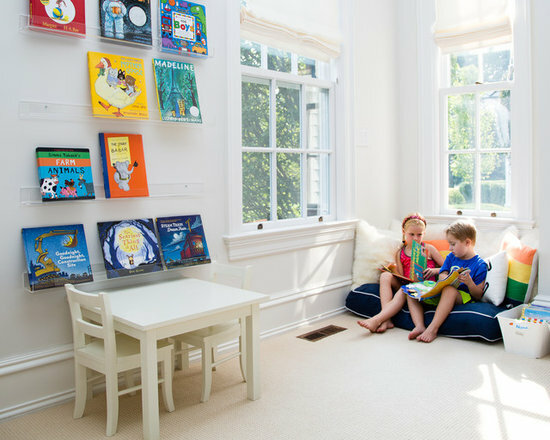 An easy way to make this something they enjoy is to create a specific and cozy spot that your child will want to climb into every day. Put an emphasis on comfortable seating or cushions and proper lighting so that this is a possibility no matter what time of day. The best way to decorate this reading nook is with books! Organize and display your books with sleek shelves or in carefully curated bookcases allowing your collection to function as both a library and decor. Designating a specific working area can help your children to differentiate between work and play. Don’t think as big as a home office, just a special desk or table in a quiet place where you child can can focus on their work. Keeping the area free from any clutter is essential. Consider including things like a calendar to keep track of due dates and a clock or timer to keep your child focused, all of this in whimsical decor of course – don’t allow it to look too grown up! In busy family homes, a mudroom or entryway that is overrun with backpacks, coats, shoes, and sporting equipment is not an uncommon sight. An easy way to bring harmony and order back to this chaotic space is to assign each member of the family (yes, that also means mom & dad) their own area within the entryway. 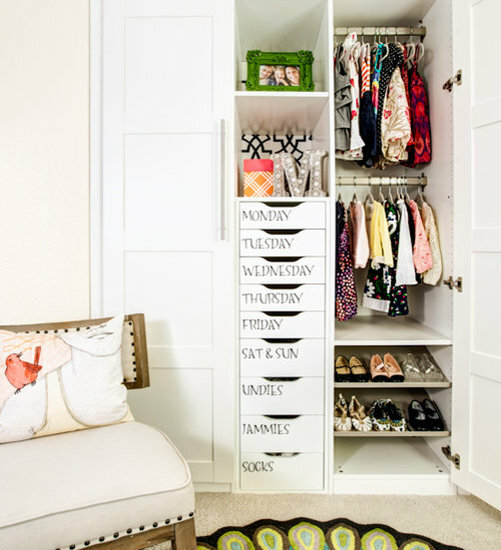 Whether it be an entire cubby or just a coat hook and a basket, this is a simple way to quickly tidy up and will make getting out the door for school or work in the mornings much easier. When it comes to the decor of any child’s space, involve them in the decision making. Allowing children to have a say in what colors or even specific pieces are used, will make them more likely to follow the rules you are trying to put in place. They will enjoy being in a space that reflects their personality. Visit Babel’s to browse over 3,500 Benjamin Moore paint colors, countless wallpaper and fabric books, or consult with an interior designer.